Penny Castle looks back on her eight years as the eventing performance leader with a huge amount of pride as to what has been accomplished. Where there was one squad, there are now three and a mushrooming list of riders who continue to edge closer to their goals on the world stage. The Talent Identification Squad was introduced for early talent-spotting and to support up-and-coming combinations, while the Talent Development Squad’s goal is to help build the skill base to enable combinations to go on to produce 4* (formerly 3*) horses. Penny stepping away brings with it changes in other parts of the programme to ensure it continues to build the performance and high performance capability in New Zealand. Jock Paget will continue as high performance potential coach and mentor and from March will take a leadership role in the ongoing development of the programme. He and Penny have worked closely over recent years tirelessly to help riders to continue to be challenged. For Penny, there have been many highlights over the years too, including being part of High Performance Sport New Zealand’s highly-regarded Coach Accelerator Programme, winning the hotly-contested Senior Oceania battle at the Melbourne International Three-Day Event in 2017 as well as having riders on the podium alongside an “amazing” support team of fellow coaches, the vet, parents and more. But for Penny, the biggest highlight is always helping a rider complete their first 4* competition. She extended special thanks to High Performance Sport New Zealand coaching consultant Lyn Gunson, her family and the coaches and support team who have all worked so hard in pushing, supporting and evolving the programme. High Performance director Sarah Dalziell-Clout extended a heartfelt thanks to Penny. A number of roles are currently being advertised within the performance programme, including a part-time performance administrator position to assist with the logistics of camps, squad and programme administration, planning and videoing, and liaison roles for both the Talent Identification and Talent Development squads. 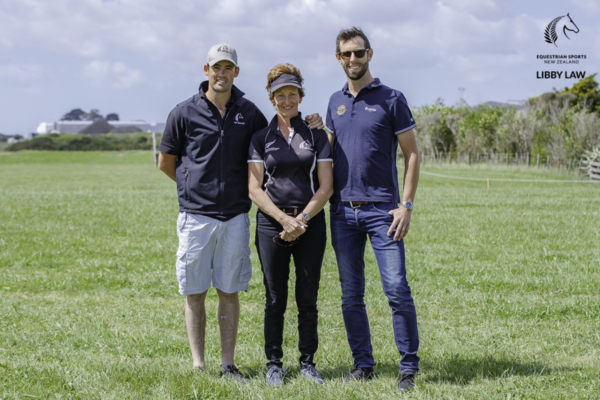 Those in the part-time roles will become the primary person of contact for the riders, manage IPPs, feed into Performance Programme planning and liaise with the respective High Performance Sport New Zealand contacts. For Sarah, it is key the programme has the ability to continue to grow and develop and she’s confident getting the right people in place will ensure just that.